Kids of all ages love snowmen! 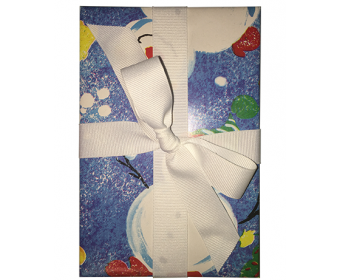 Wrap your gift in Holiday cheer with Frosty and his friends. A clean white bow adds a special touch.